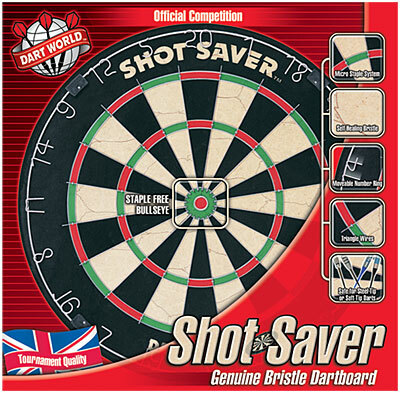 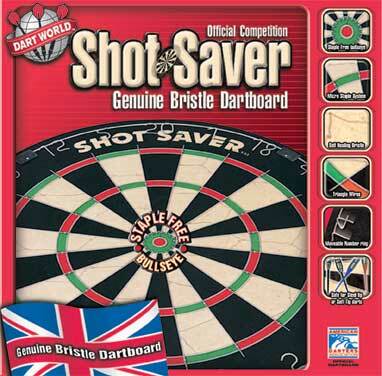 This British style dartboard (made in Kenya, New Zealand, or the UK) has triangular wires enabling more darts to stick to the board. 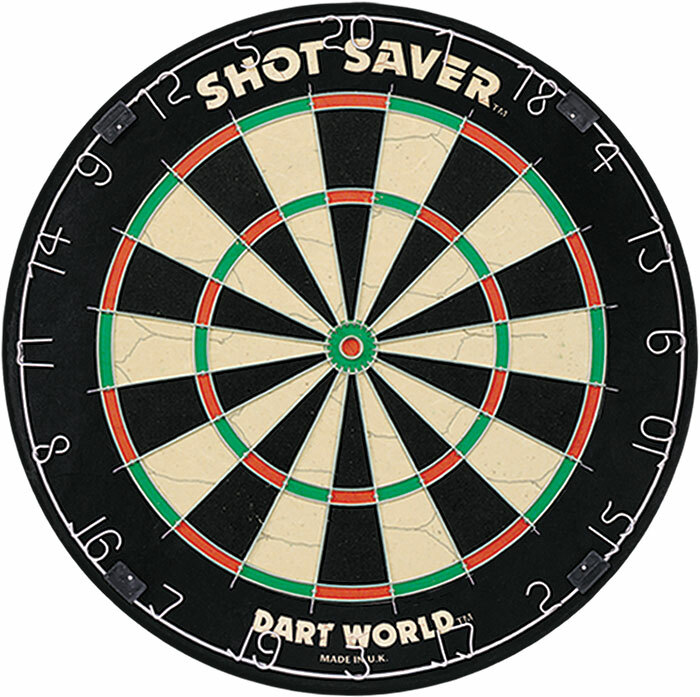 The staple-free bullseye and super staple system helps reduce bounce-outs and increase scoring. 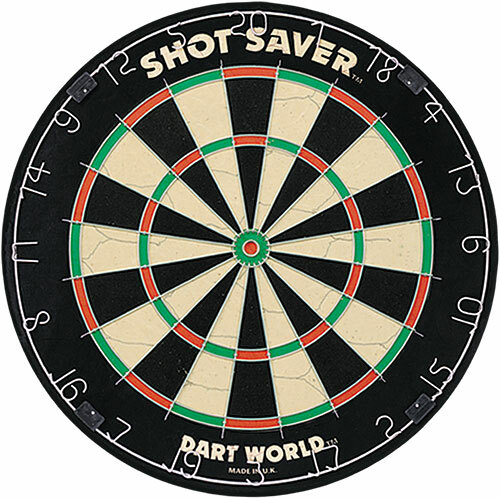 These three things make this dart board the choice of champions.